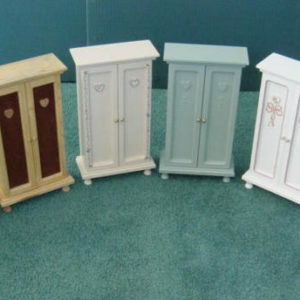 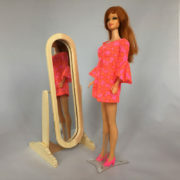 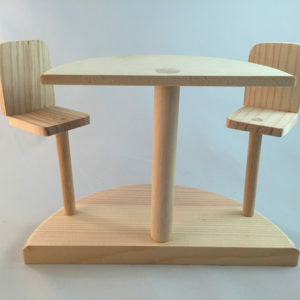 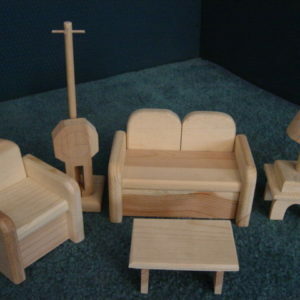 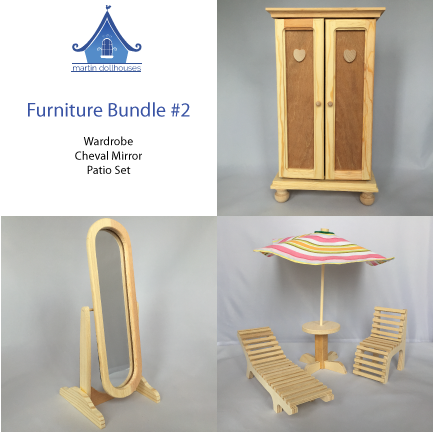 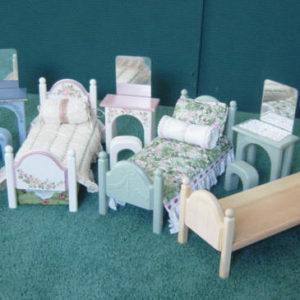 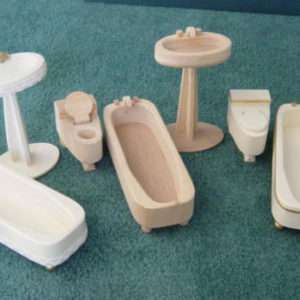 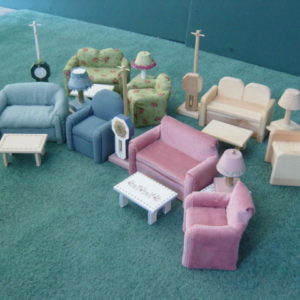 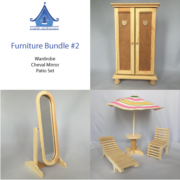 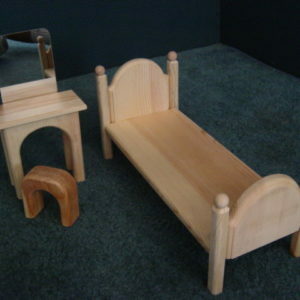 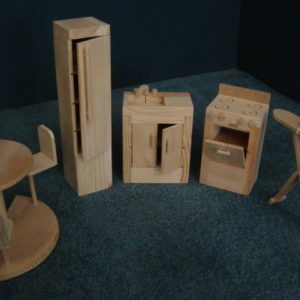 Barbie doll sized wooden furniture made of solid pine and Baltic Birch wood. 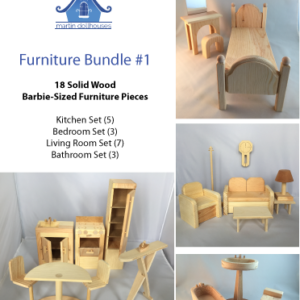 Bundle 2 comes with three major pieces. 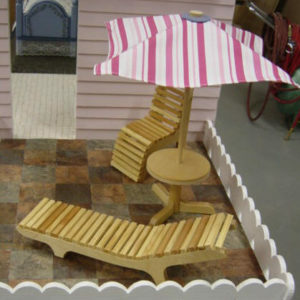 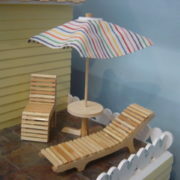 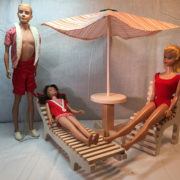 The Deck/Patio set comes with a chair, lounger, and table with umbrella. 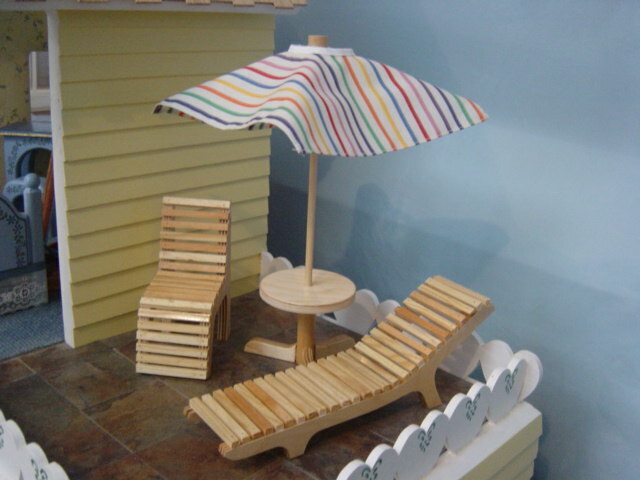 This is our favorite piece at Martin Dollhouses. 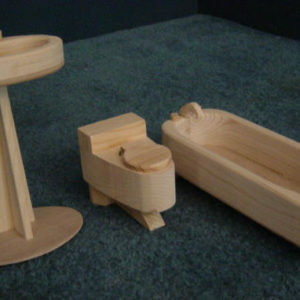 They’re just too cute for words. 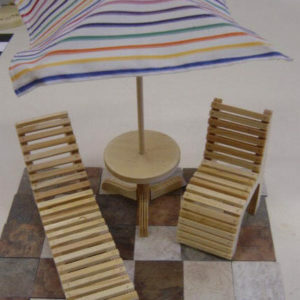 Umbrella comes in varied fabrics. 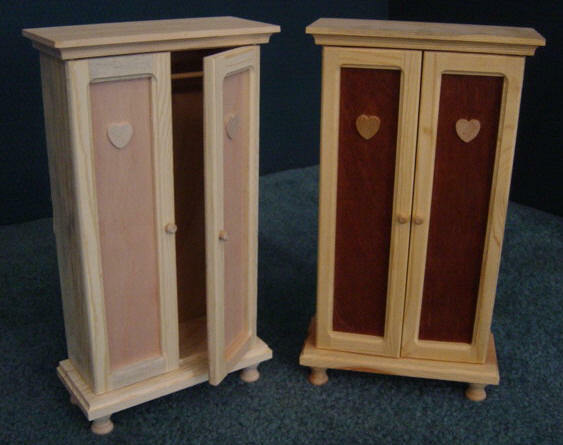 If you want a specific color, call us or send us an email, and we’ll customize it for you. 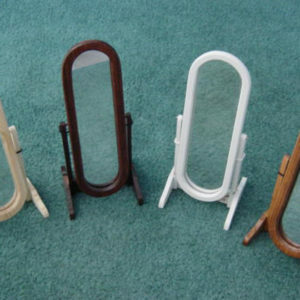 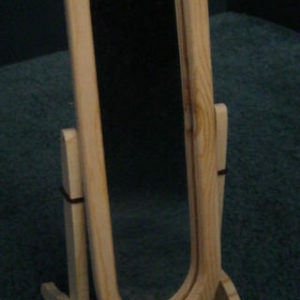 A Cheval Mirror is a long mirror mounted on swivels in the frame so it can tilt. 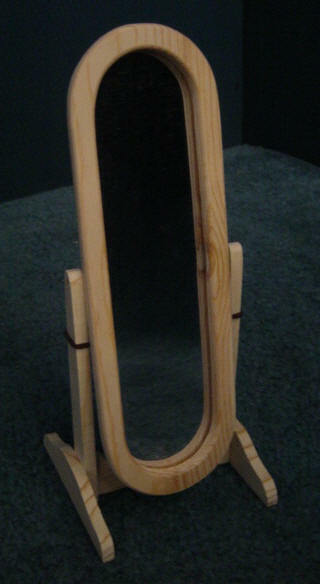 Our Cheval Mirror is handcrafted with Baltic Birch and comes with a real-looking glass mirror. It looks absolutely beautiful finished and unfinished. 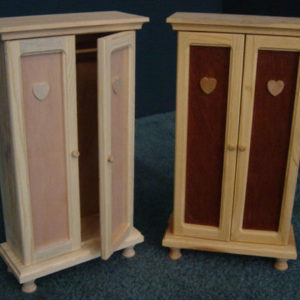 The Armoire or Wardrobe Closet is one of our favs with solid construction and doors that open to a roomy closet. 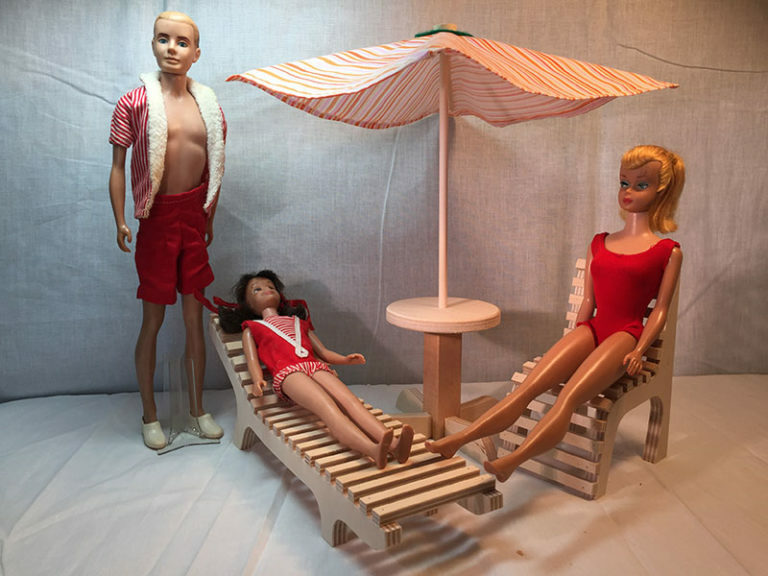 The rod really works and can hold hangers with Barbie’s favorite pieces. 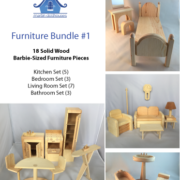 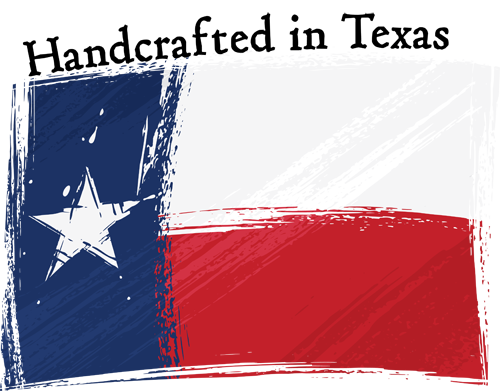 To see all the furniture we offer, go here.